Twenty-one sleeps till Santa and the Advent Calendar special offers continue. 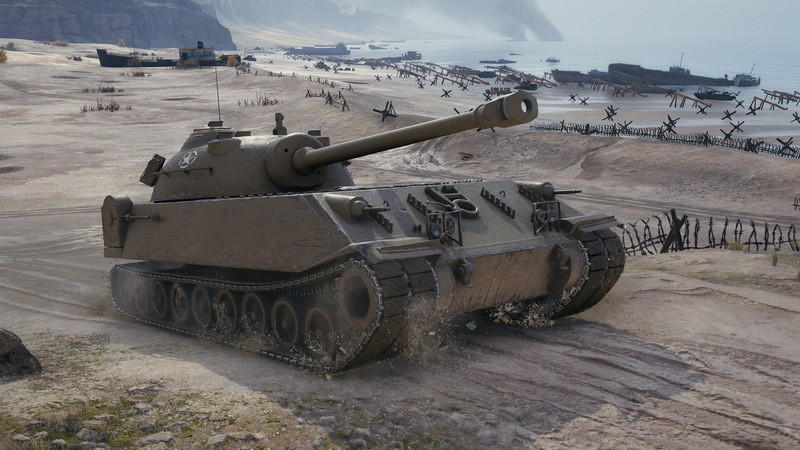 On the fourth day, we got the American Tier VIII heavy tank – Chrysler K.
The Premium Shop deal comes with the usual 20% discount for the bundle, with the tank, some Gold and Premium Account and a fully trained crew, but if you are looking to spend some spare Gold, you can buy the tank for 9,500 Gold in the in-game store. Careful positioning needed to protect lower front plate, side, and rear armour. May need help destroying heavily armoured vehicles. Going somewhere? Plan ahead, because your travel time may be a little long. Hide behind cover often! This is a large target. This Tank aint Worth it! Chance the armor works is 5050 on t8 and hightier non existent. That be enough to damn any tank that relies on armor… However! Only upside… It does look nice….